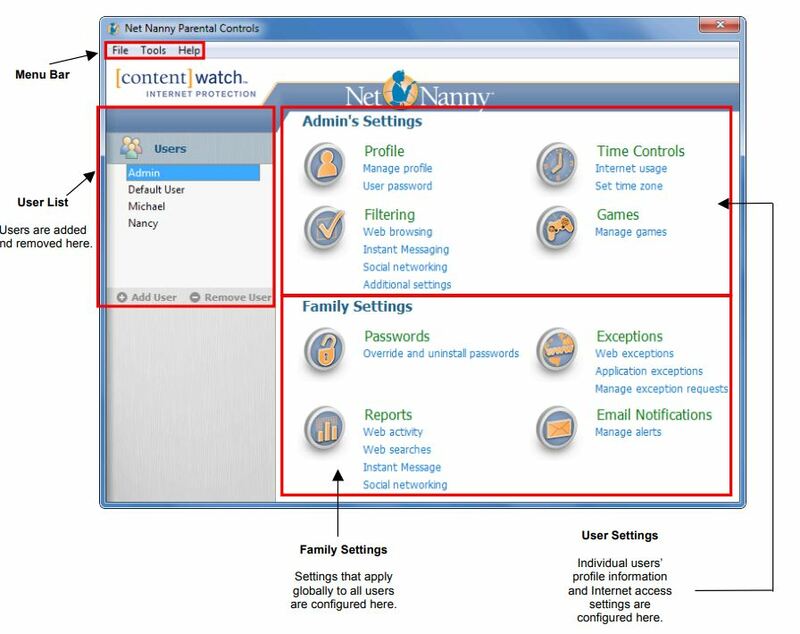 Net Nanny is a parental control software that is designed to help parents protect their children. The internet is a dangerous place, and parents cannot be with their kids all the time. Net Nanny provides parents with this opportunity to know what type of activity they are engaging in. 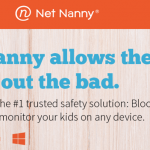 Net Nanny is one of the most comprehensive and powerful tools for parents in this digital age. To know that your child is protected when using their mobile device is priceless. With the huge amount of social media buying for your kids’ attention, it’s so important that you have a good knowledge of your children’s online presence. This is more relevant now than ever, as studies have shown children can average up to a staggering 7 hours a day on digital devices. Having the ability to see what that time is spent on, is a huge weight off of a parent’s mind. Net Nanny is simplistic to set up, and the software’s wizards will do all the work for you. Within minutes after purchasing the software, you will be in total control of what your children are viewing online. Net Nanny has a help section if you have any questions, or want to advance the control level for your kids. This intuitive software provides the following tools to get you up and running straight away. Installation wizard helps make set up a breeze. The setup wizard will configure profiles. Searchable help files are great for any questions you have. Easy technical support is available by telephone, live chat and email. One of Net Nanny’s most powerful features is its ease of accessibility and simplicity to master. This software is developed from the ground up to grow with your family’s needs. No matter what age your children are, this parental control software will deliver age-appropriate protection. The internet is dynamic, and often changes on a daily basis. This is why you need parental monitoring software that can stay one step ahead. 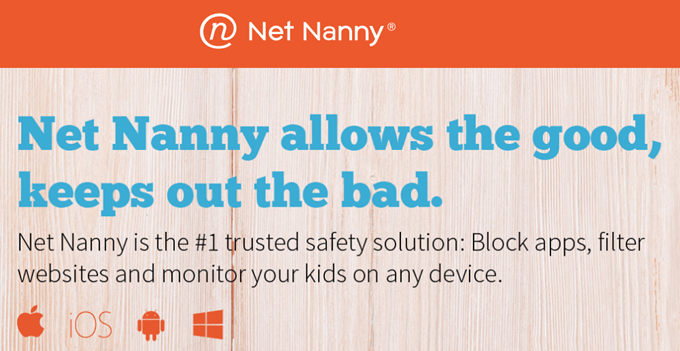 Net Nanny offers you the controls that you need to keep your kids safe. You can create a profile for each member of your family. Modify controls as you need to. Changes that are made to the dashboard will sync with your devices. Block sites according to family members. You can base criteria on maturity level. Time spent on social media is at an all time high, and Net Nanny has you covered. Log into the online dashboard to see all interaction, and intervene as necessary. Log activity from Facebook, Twitter, Instagram, Pintrest, Tumblr, Google Plus and LinkedIn. Monitor mischievous activity, unacceptable images, unapproved friends and risky posts . Net Nanny works with Windows operating systems. When downloaded, it will be incorporated into all popular browsers and search engines to keep your children safe from harm. Windows Vista, 7, 8, 8.1 and 10. If you’re in need of a method of keeping track of a cell phone to stay informed with what is going on, mobile monitoring software is the most efficient and cost effective route to take. 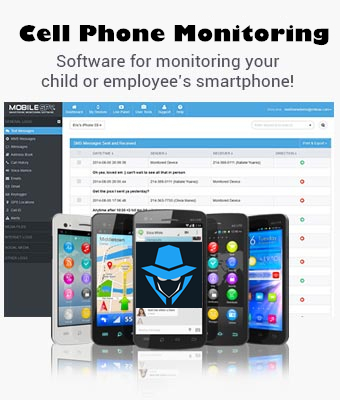 Monitoring software is an easy way for parents as well as employers to monitor their phone to discover what texts and emails are being sent, what websites are being visited, what photos/videos are being taken, what apps are installed and much more. 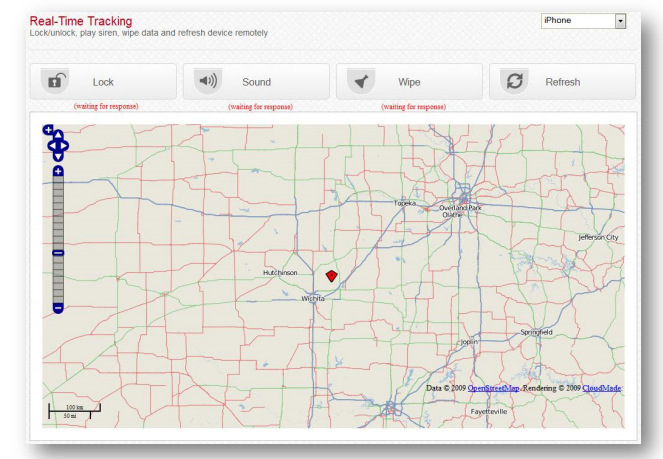 Below is a quick summary of steps that can be taken to monitor cell phone activities with stealth monitoring software. Just like in any market, there are several different cell phone monitoring software applications available to purchase, but users should be informed and choose smartly so they get one that is within their budget and monitoring needs. We’ve tested more than 50 spy software to find the best ones — Check out our picks for the best spy apps. Some monitoring apps provide few basic options to monitor your device, while some others will offer multiple features. 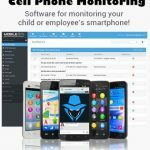 Software such as PhoneSheriff offers numerous monitoring options and features for all your smartphone monitoring needs. One note to keep in mind before buying is… not all monitoring software are going to work on every phone. Users should verify whether their device to be monitored is going to work with the software or not before spending their hard earned money. Also, steer clear of any ads claiming that their software can be installed from a distance without needing to physically have access to the phone you wish to monitor. Phone spy software must be installed directly, physically possessing the device to be monitored is a must in order to initially install. Installing a spy software can take anywhere from 20-30 minutes depending on your level of tech experience with installing mobile apps. Immediately after purchasing, you’ll receive detailed instructions to assist and guide you through the entire install process. Before beginning with installing on the device, users will first create a user login so they can log into the online control panel to view recorded data from the device. After the software is installed on the phone to be monitored, it records and uploads recorded information in complete stealth to an online account for viewing. This user control panel account can be accessed from any internet enabled computer, tablet, smartphone or other device using their user name/password. In the control panel, users are able to view photos/videos taken, GPS locations, notes saved, websites visited, emails and much more. PhoneSheriff is a powerful monitoring resource assisting parents with getting to the bottom of what their teens and young kids are doing on the tablet or smartphone. At the same time, PhoneSheriff is also a beneficial tool utilized by business employers (big and small), helping them ensure employees are only using company issued smartphones for intended business related purposes only. 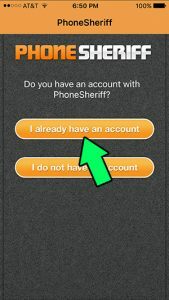 PhoneSheriff is an advanced monitoring system that has continual growth. Parents have raved about this software for years, and have used it to track activity of their children on iPhone, Android and BlackBerry devices. But it just got even better, as PhoneSheriff announce the release of their newest 2.5 edition. This software has already won numerous awards, and is sure to sweep more with this advancement. Although, parents have been content with the features of the older version, this new version offers more. Parents enjoy features such as call log info, URL history tracking, creating time restrictions, tracking GPS locations, photo/video monitoring and much more. The new 2.5 version of PhoneSheriff brings new additions that enhanced the already impressive collection of monitoring features that they offer. 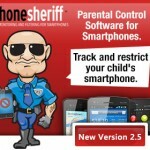 PhoneSheriff designed their 2.5 version with a parents need in mind. They took previous features and enhanced them, as well as adding on some new ones. Updates to SMS monitoring and Restriction feature are included in the 2.5 version. 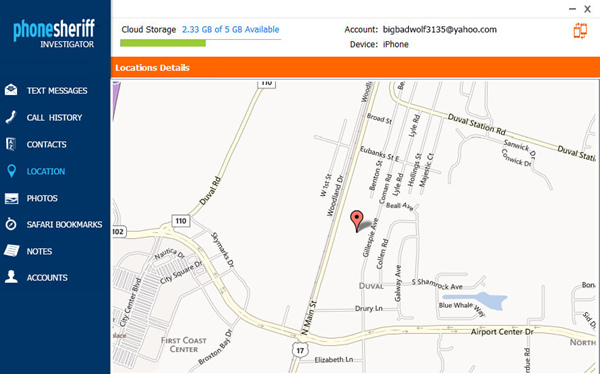 The Real-Time Tracking now allows users to retrieve updated locations with a click of a button. Here are some other additions to look forward to with the PhoneSheriff 2.5 version release. Anti Abduction – With so many abductions happening PhoneSheriff knew this would be a feature that parents would truly appreciate. This feature allows parents to deter abduction of their child by tracking the phone, activating the stealth photo option, and taking a recording of the surrounding area. All of these will help a parent feel more secure about their child’s safety. Panic Alert – At any time, a child can push a button to alert their parent that they are in danger. This is a fantastic feature to give a child who is worried about the outside world. Not only can a parent get the security they need about their child’s safety, now a child can be reassured that when in trouble they can get help. When the alert is activated it will instantly alert the parent with the child’s GPS location, so they can get to them quickly. Messenger Logs – This new version allows parents to monitor iMessages, BlackBerry Messenger and WhatsApp Messenger logs. Settings – In the older version, all changes had to be made from the actual device. The 2.5 version allows parents to make any changes remotely through the online control panel. The PhoneSheriff monitoring software has been around and knows what is important when it comes to a child’s safety. That is why they have won multiple awards for their amazing monitoring efforts. It’s also the reason parents continue to turn to them for their monitoring needs. As new needs arise, they continue to update and grow. Technology advances quickly and you can rest assure that PhoneSheriff will always offer the newest technology available. When it comes to your child’s safety you want the best possible solution. 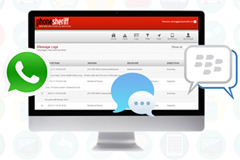 PhoneSheriff offers a quality monitoring software backed by years of serving parents with their child’s safety needs. The new edition of the 2.5 version gives parents more features and enhances some of the already loved features that they already offer. Here is a quick list of all the amazing features that this software has to offer. These features are the comforts that parents have been seeking. If you suspect that your child is engaging in activity that is questionable or you simply want to ensure their safety, this software can offer you just that. 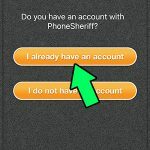 Editor’s Note: PhoneSheriff Investigator has been discontinued. If you’re looking for an alternative, take a look at the mSpy without Jailbreak Solution. The world of technology has not made parenting easy. There are so many negative things, that cause children to make choices that could have lasting effects on their lives. That is why it is important that parents have a way to monitor their children’s technology. Perhaps, the hottest item among children is the devices made by Apple. These include, iPhones, iPads, and iPods. These devices are internet ready, and can do all the basic functions that a computer can do. However, these devices are highly mobile and make it easy for children to hide their mischievous behavior. There is a new sheriff in town, and he has given parents the ability to know their child’s every move. The PhoneSheriff Investigator is an actual desktop app, which means you do not have to install any type of software. Best of all, there is no need to pay for a subscription. 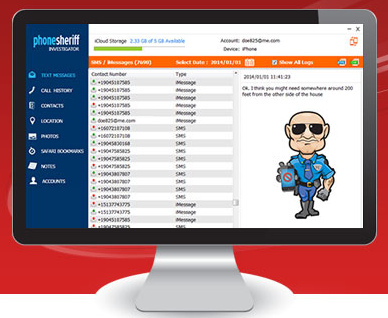 PhoneSheriff Investigator is a spin-off the highly acclaimed PhoneSherriff parental control and monitoring software. Except with the new Investigator app, there is no need to jailbreak an iPhone for monitoring to take place. How is Monitoring Possible on an iPhone without a Jailbreak? The PhoneSheriff Investigator Edition can be run on Windows Vista, 7, and 8. It is capable with iPhone, iPad or iPod Touch that uses is 5.x , 6x or 7.x. Now you have the ability to monitor the latest IOS operating systems without having to jailbreak the device. PhoneSheriff Investigator has made it possible for parents to securely monitor their child’s device without the need of installing software. It is a comfort to know what your child is doing even when they are not with you. With other monitoring applications it is necessary to log into the software’s control panel to access reports. The PhoneSheriff Investigator allows you to use iCloud technology. All content can be downloaded to a specified program on your computer. Parents like the fact that activity logs are never stored anywhere, but on their computer. This is possible because it is a standalone program, not a software that has to be downloaded. The developer of the app will never see any logs that are recorded. This is the most advanced technology developed for mobile device monitoring. With the increasing popularity of the Apple product line, this product has broken the monitoring world wide open. What Does This App Monitor? 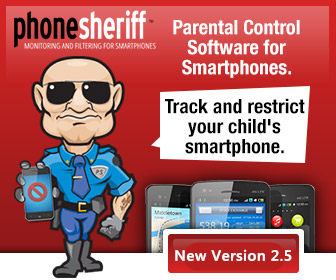 PhoneSheriff Investigator has all the popular monitoring tools that parents have grown to love. All content, including messages and text message, along with call history, photos, notes, contacts, the latest GPS location will be recorded in the iCloud account. There is no limit on how many IOS devices that you can monitor, as there is never any need to buy more than one license of the program. For a limited time, the PhoneSherriff Investigator can be downloaded and used for a 7-day free trial period. Simply download the software, and you will have access to a limited number of each log type for the next 7 days. Click Here to Try PhoneSheriff Investigator Edition Free for 7 Days! This will help you see exactly what the PhoneSheriff Investigator software can do. Best of all, you will not have to provide credit card information to activate the free trial. Once you see the power that this monitoring software has, you are sure to want it for the long run. There is no obligation to buy, so why not give the PhoneSheriff Investigator software a try. This program has made monitoring iPhones much simpler because there is no need to download software or jailbreak the iPhone device. There is a version for Mac OS X in the works. Check back often for the continued advances that the PhoneSheriff Investigator developers are releasing.